This image is the result of me setting out to get a half decent photograph of a Dunnock - more commonly known as a Hedge Sparrow! 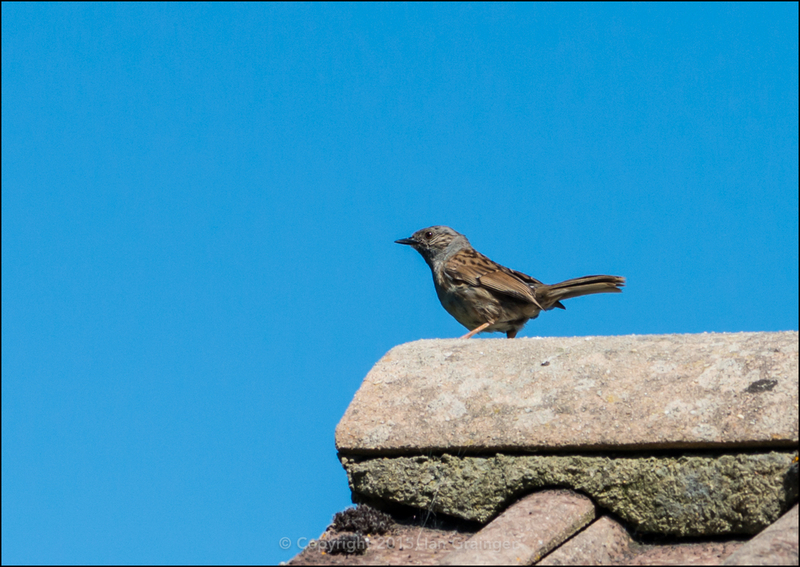 I found a great spot in the garden, at a picnic bench, below a tree where a pair of Dunnocks had been regularly visiting. It was a wonderfully warm and sunny day, and the picnic bench was the ideal place to wait, and do a spot of early summer sunbathing. Unfortunately, my presence must have scared my quarry away, as sunbathing was all I got done for about three quarters of an hour! The only birds that had come anywhere near my chosen tree had been juvenile starlings. 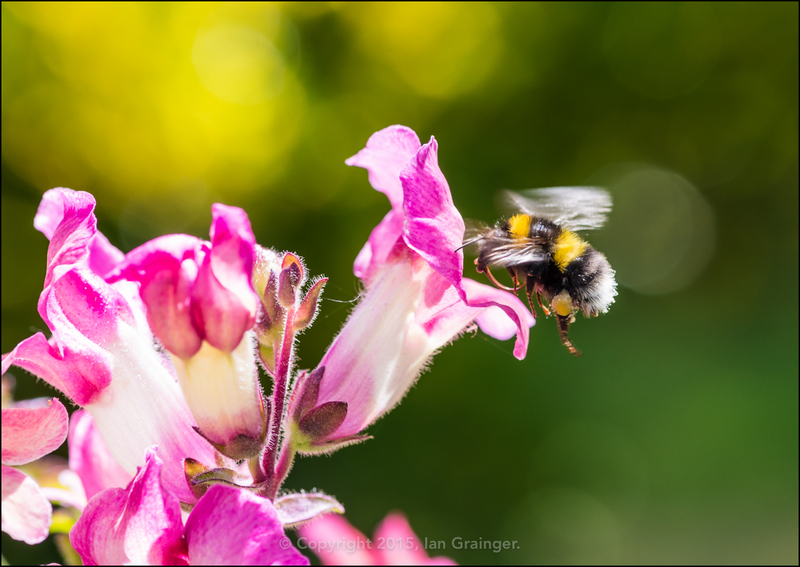 I was just about to leave, when I heard a buzzing sound, and when I looked over my shoulder, I noticed half a dozen bumblebees visiting some freshly opened Antirrhinum blooms. I quickly changed my telephoto zoom lens over to my macro lens and went about trying to catch one of the bumblebees in flight. Now, the bumblebee is quite a large insect, moves quite slowly, and it's quite easy to predict its flight path when it leaves a flower. So catching one in flight should be easy, right? While I had no problem tracking an insect, I just couldn't seem to get one in focus! Using autofocus didn't seem to help, and I couldn't manually focus fast enough. The only sharp shots I managed to get were after the bumblebee had landed on the flower. I have to admit to having quite a few frames of bumblebee bottoms! So, to get this shot, I used manual focus, and pre-focussed at the edge of the flower. I then had to trust to luck that a bumblebee would fly into my chosen flower. As you can see, this fluffy little chap obliged, so I'm making him my Image of the Week!